A lifelong Edmonton resident and working mum of four, Gönül Daniels believes in active citizenship. One of the issues that spurred her into politics was education – she wants to give children “the best start in life”. She helped open a new free school in North London and is the Chair of a local school trust. She is committed to making her local area a better place for all. An active member of the Conservative Party, she sits on the party’s committee for the Greater London Conservative Women’s Organisation. 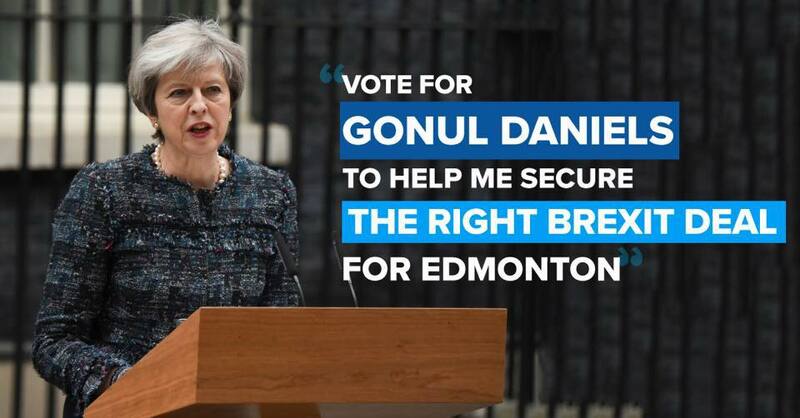 In 2015, she stood as a parliamentary candidate for the party in Edmonton and is standing again for election on 8th June. We asked Gönül what her core election promises are and why she is a Conservative. What are the key issues on your doorstep in Edmonton and how do you/your party plan to address them? Stop knife crime: To stop knife crime, we have to do something different. What we are doing now isn’t working! There is Enfield’s Law, which says that if you are caught carrying a knife twice you will go to prison. That just isn’t being enforced. There are those who are carrying knives who are caught and then sent back into the community which just isn’t right and isn’t working! There are those who are carrying knives because they are scared for their safety and that too can’t carry on. I will stand up for Enfield’s Law and ensure that the law is enforced so that those carrying knives take the law seriously and understand the cause and effect of carrying knives. I will work with social workers and carers to ensure that when you are caught carrying a knife you are not sent back into the community but are removed somewhere else away from the gangs. I will ensure that there is more done in education to make those carrying knives understand that you are not safe when you carry a knife. You make yourself unsafe when you carry a knife and you are likely to be a victim of knife crime. Stamp out antisocial behaviour: I will work with the local authorities and the government to clamp down on all anti-social behaviour and reset the perception people have of Edmonton. There is an analogy that I think describes my approach: There is a nice building, in a nice area, if a window breaks in the building and it is repaired then life carries on as normal. If the window is not repaired at some point someone will break another window, and then another, and then another, then breaking windows will spread to other buildings. Those entering the area will think breaking windows is the norm and soon it will not be a nice area as there are many broken windows in many buildings. The same happens with anti-social behaviour, it spreads, becomes the norm, and soon those new to the community think it is acceptable to behave badly and commit crime. We need to clamp down on anti-social behaviour and crime and drive it from our streets. We need to ensure there is parity across the borough of Enfield and work hard to ensure the same opportunities are offered to those in Edmonton as to those in the west of the borough. 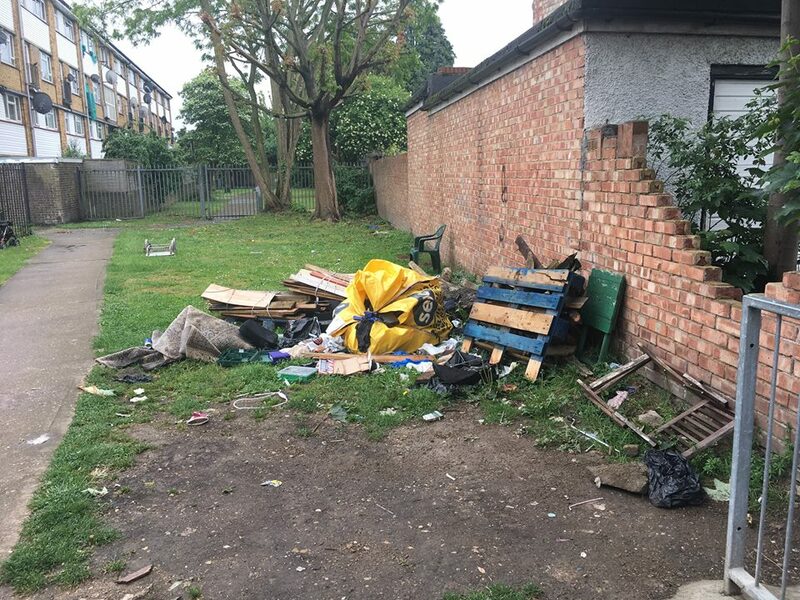 Clear the rubbish from streets: Labour councillors run Enfield Council and the cabinet member for the Environment constantly talks about being tough on fly-tipping. But, then there is little action. Just clearing up rubbish regularly is not enough. I want to stop the fly tippers before they dump. I want government to give local authorities more powers to deal this serious problem and increase penalties against the criminals involved in this appalling antisocial behaviour. 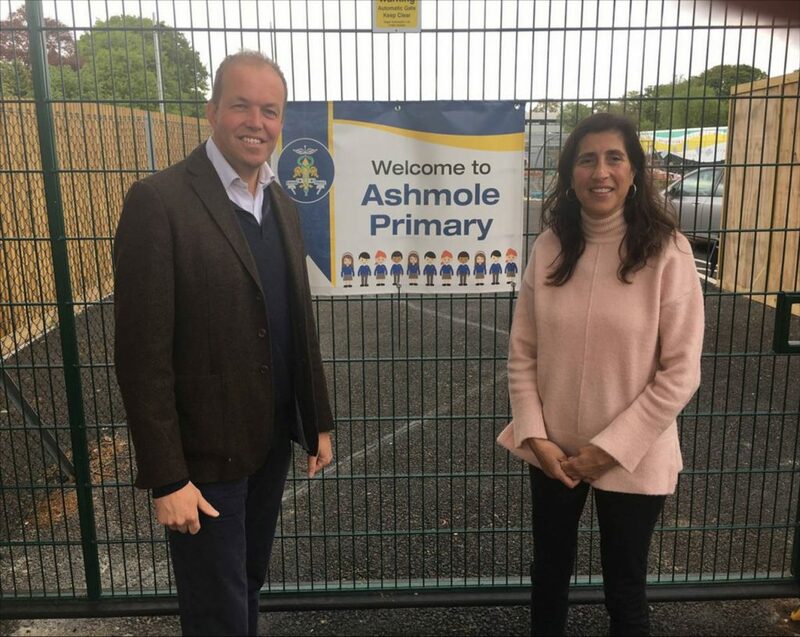 Give children an outstanding education: On a personal level I have campaigned for school places and created a brand new free school, with Ashmole Academy Trust, which is on track to be outstanding. I am Chair of Governors at a secondary school rated ‘outstanding’ by OFSTED. Education is one of the reasons I am in politics and I want to make sure every child gets the best start in life and I am making that a reality in my local area. I am delighted to see that the Conservative Manifesto states that NO school will have their budget cut because of the fairer funding formula. Everyone acknowledges that a fairer way of funding schools is needed and this Conservative pledge ensures fairer funding and that schools won’t see a cut in their budget. This means that schools can concentrate on providing on outstanding education with security. I am also pleased to see that Universal Free School Meals are being replaced with a free breakfast. As a governor of schools, I know that families that get free school meals increase the funding of the schools that they attend so this pledge means that the less advantaged will have a free breakfast as well as a free lunch. Universal Free School Meals meant that families entitled to free school meals were not applying for them because they received them anyway with Universal Free School Meals. 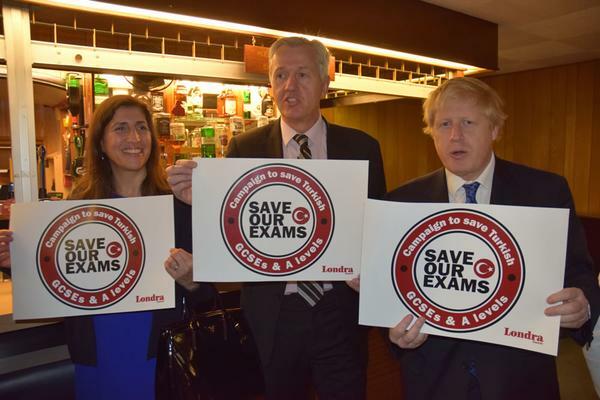 They did not realise that by not applying for free school meals their school was missing out on increased funding. This manifesto pledge will benefit schools financially. Clear the pollution from air: Edmonton is criss-crossed by major roads; the A10 to the West, the M25 to the North, the A406 to the South and Mollison Avenue to the East with the industrial estates. Car ownership in Edmonton is low, but pollution is high, and this is mainly due to passing traffic and specifically lorries. I would lobby for increased tax on inefficient lorries and give benefits to eco-friendly lorries. I would promote the governments Cycling and Walking Strategy to encourage residents to think about cycling or walking short journeys, and push to introduce more school walking buses. Edmonton contains some of the most deprived areas in the capital. As a life-long resident, what do you feel is needed to improve the lives of your constituents and can your party really deliver for Edmonton’s poorest constituents? Conservatism is about helping people, giving them the impetus to meet their aspirations, not just to sustain their current lifestyle. The best path out of poverty is work and we Conservatives have a proven track record of reducing unemployment. Unemployment is at its lowest rate for over 40 years. A total of 31.95m people are now in work – the highest level on record – which amounts to 74.8% of 16 to 64-year olds, also an unprecedented high, according to data from the Office for National Statistics. There is still more to do in Edmonton though, as unemployment is higher than the national average. I will work to get better employment career support in schools, to promote apprenticeships, and launch job fairs for the residents of Edmonton. The Conservative Party has often been stereotyped as a cosy club for posh old white men who went to private school. As a Conservative candidate, you have described yourself as a “working mother of ethnic origin” what is it about conservatism that appeals to you in particular, and what does it have to offer other women like you? I think that those who stereotype us need to consider that the Conservative Party has had two women Prime Ministers and that they have been the only women Prime Ministers that the UK has ever seen. 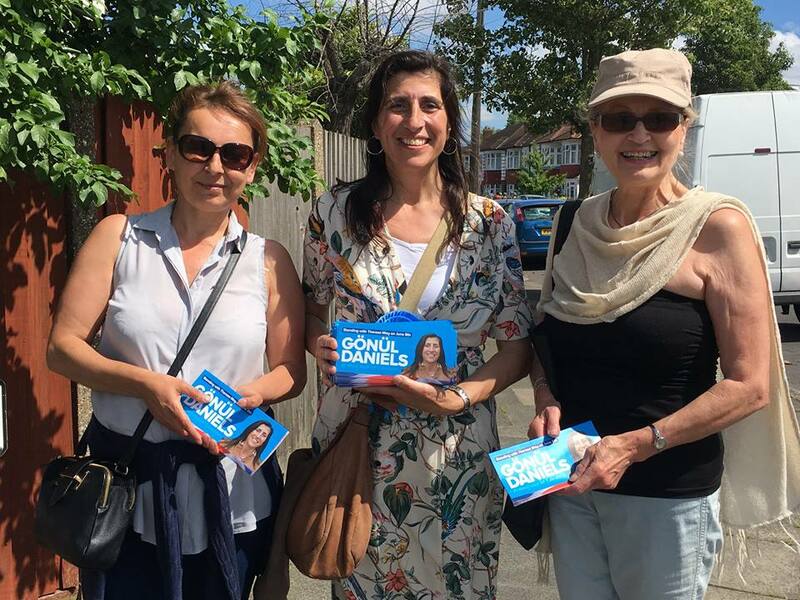 Unlike the Labour Party, the Conservative Party does not create all women short lists for parliamentary seats, so every woman candidate and every woman MP is there on merit and not because they are a woman. 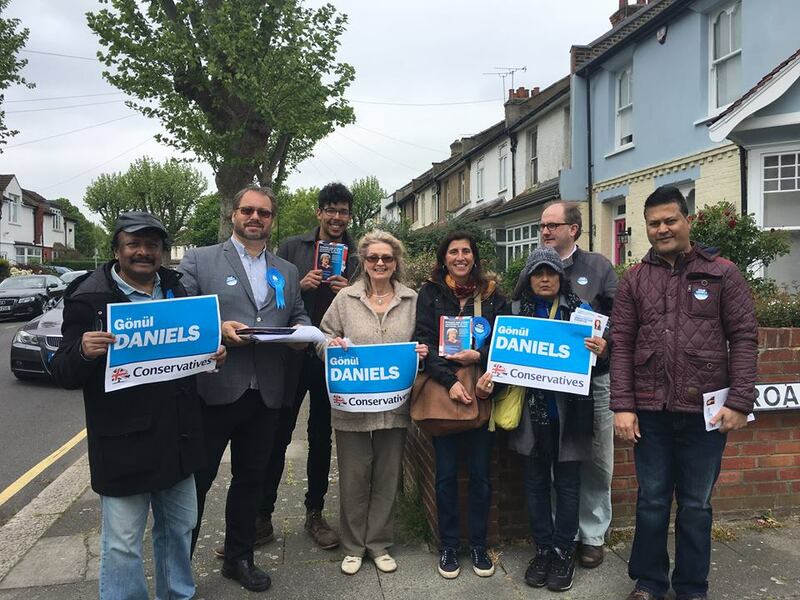 I am the Conservative Party, I am a working mother of ethnic origin and I represent the party that recognises my hard work and ability to make me an MP candidate. The Conservative Manifesto sums it up very nicely on what it means to be a conservative: Conservatism is not and never has been the philosophy described by caricaturists. We do not believe in untrammelled free markets. We reject the cult of selfish individualism. We abhor social division, injustice, unfairness and inequality. We see rigid dogma and ideology not just as needless but dangerous. Where did you stand on the Brexit debate? I was a remainer but I am not a remoaner. There was a democratic process and we need to honour democracy and make the best out of Brexit we can. 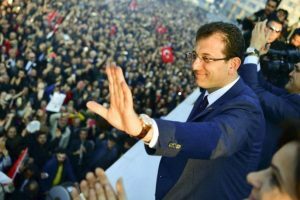 British Turks were angry at the anti-immigration sentiments expressed by some Brexit campaigners that unfairly targeted Turkey, which many Tories also supported. Are you worried that the Conservative Party is becoming increasingly nativistic in their views and policies? I was unhappy with the false claims made during the Brexit debate, however the Leave campaign was made up from a cross section of parties, it was NOT a Conservative campaign. In 2015, your opponent Kate Osamor won by 15,419 votes. Do you feel optimistic about beating that margin this time round and if so, why? I am optimistic, with the support of the Turkish community I think I can challenge her majority. Kate Osamor has not been present in the Edmonton community since she became an MP and her focus is on her role as a shadow minister not as a MP in Edmonton. If elected my focus would be on the people of Edmonton and being a good constituency MP. 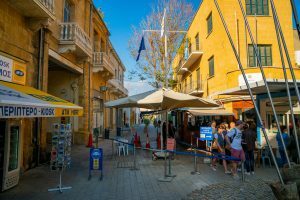 As someone of Turkish Cypriot origin and a leading member of the Conservative Friends of Turkey group, how would you like to see a future Conservative British Government engage with both Turkey and North Cyprus? If elected, I would be an MP who understands Cyprus, Turkey and the Turkish community. There is a real opportunity for Turkey and the UK to forge an even closer relationship over the coming years; with both being outside of the EU. If elected, I would be an MP who understands Turkey and the Turkish community. 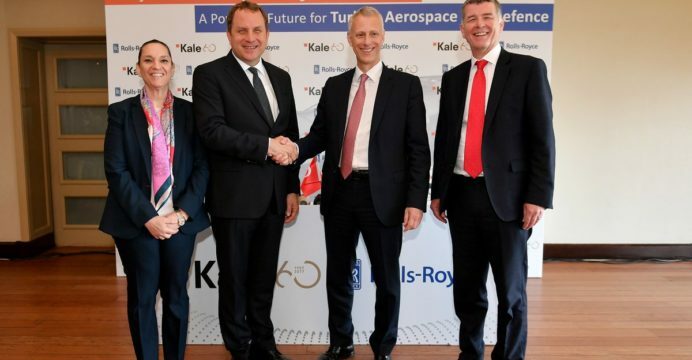 We heard only last week that Rolls-Royce has partnered with Turkish group Kale with the aim of building engines for new UK built fighter jets. On defence, a Conservative government is committed to NATO and will meet the NATO commitment to spend at least 2 per cent of GDP on defence. Theresa May’s strong support for our national security is in stark contrast to Jeremy Corbyn’s policies. Jeremy Corbyn has wavered over the UK’s commitment to NATO, and therefore Turkey, to nuclear deterrents and RAF strikes to Daesh. A Conservative government will be there to support Turkey in times of trouble, a Labour government is not committed to helping those under attack. I noted recently that Jeremy Corbyn again refused to commit to protecting Turkey if it were attacked by IS or Russia. Britain under a Conservative government is engaging with Turkey and wants to broaden this engagement. The Turkish people in the UK will be very important to this engagement. An example of the engagement is a project I am working on. I have been speaking with Balıkesir University to establish a summer school in North London. This summer school will teach English to Turkish speaking professionals. We have had initial talks and I look forward to progressing it. 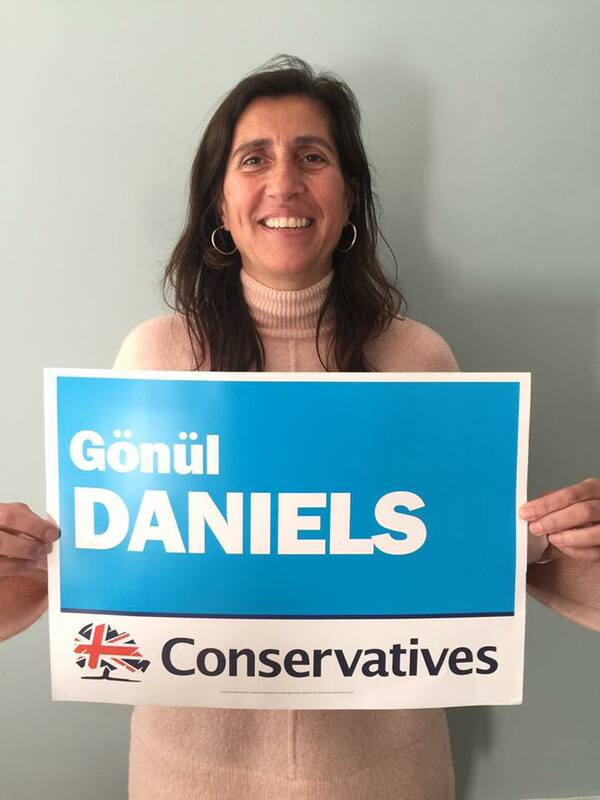 Gönül Daniels is standing as a Conservative Party candidate for election in Edmonton, North London. She is up against incumbent Kate Osamor (Labour), Benjamin Gill (Green), David Schmitz (Lib Dems), and Nigel Sussman (UKIP). You can read more about Gönül Daniels and her campaign here.